Tell me any other trend in the money market presently if not cryptocurrency. Cryptocurrency combines the elements of mathematical theory and computer science, which makes it unique. The primary function of cryptocurrency is to make unbreakable code by securing communication and converts it to legible information. Almost everyone with the means of getting information at their fingertips (mobile phone) must have heard of Bitcoin and other Altcoins. However, even as we are still cautious on cryptocurrencies, we put more focus on the technology that power cryptocurrency which is blockchain. In fact, we believe that this blockchain technology will impact every sector of the global economy and that it will be a significant disruptor in how data is managed, much like how the internet influenced the media. 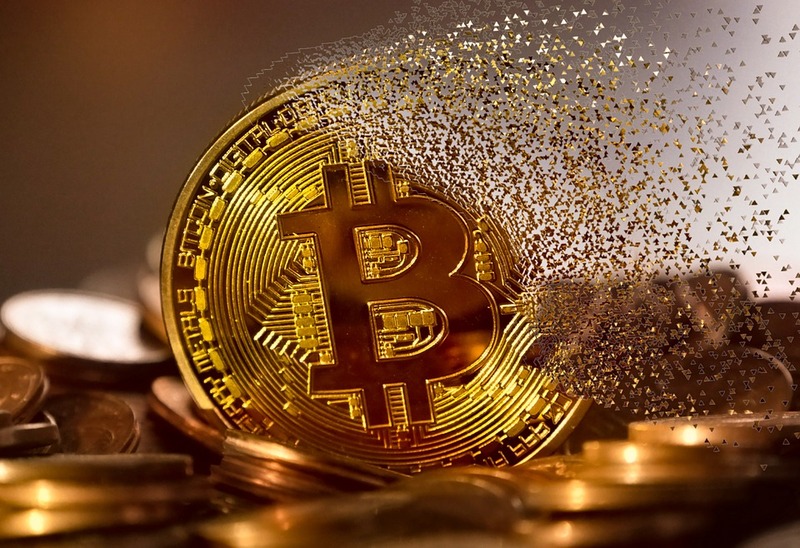 With the massive fuzz around cryptocurrency, there has also been an increase in browser-based cryptocurrency mining scripts. Well, these scripts have been advanced, and they are in their next phase. What we mean by the word next phase means they can now be easily used to harvest your machine resources. The newest security threat is cryptojacking. The cryptocurrency evolution has made many nefarious individuals power their mining systems anyway possible. Meanwhile, hijacking your system resources is the newest and additional way for these individuals to power their mining system. cryptojacking was first discovered by the public late in September when a showtime website started mining the cryptocurrency Monero when loaded. 1 Why Steal System Resources? 2 Okay, so to the main topic, what is Cryptojacking? 3 How Does Cryptojacking Happen? 5 How Widespread Is Cryptojacking? Firstly let’s consider the reasons behind cryptojacking before we consider it as a whole. Have you asked yourself why a hacker will want to steal your system resources? Well, cryptocurrency can’t be obtained for free, nor does it grow on trees, it grows on the server when mined. Mining is used by many cryptocurrencies to mediate the specific crypto-network. Network transactions are added to a block which is then sent to the network of connected miners for verification (these are people that have downloaded the blockchain). The block is added to the chain when the miner’s systems have finished processing the complex equations and, confirmed that the transactions are legitimate. At that point, the miner gets a block reward from the transactions contained in the blocking process. Your system speed for processing equations will determine your crypto-mining success. Bitcoin mining is now for the big investors, and useless for the average. When you search mining cryptocurrencies, your result will likely be on Etherum, Litecoin and other, smaller cryptocurrencies because the sheer volume of mining Bitcoin will drown out tiny home systems. So, the best way you can makeyour cool cash mining cryptocurrency is being a huge investor or with direct processing power. So, is stealing processing power from unsuspecting internet users not a better way to harness more power? Okay, so to the main topic, what is Cryptojacking? Cryptojacking in a simple form means a situation whereby your device has been secretly hijacked for the purpose of mining cryptocurrencies with CPU power or better still the process of stealing the computing power of devices the consent of the device owner. This computing power is known as ‘Hash power‘ in the crypto industry, and it is used for solving equations so that one can get the block reward of cryptocurrency mining. Meanwhile, you can only be cryptojack when you land on a website that is cryptojacking internet users when you are browsing the internet. The most interesting part, Cryptojacking does not require the user to click or download anything (which means you won’t be aware during this process), it only needs you to load and be on the website. Unless a user is smart and protected, they will never know when they are being cryptojacked. Nowadays, websites with huge traffic now experience attacks from hackers, with the aim of inserting their mining scripts. However, some sites now use mining scripts as a way to generate alternative monetization for their online business. Willem de Groot from independent security researcher conducted research, and it shows that over 2,500 websites are running a crypto-mining script. The research also indicates that most of this websites are running on outdated software that can be easily exploited by hackers. This means a hacker can easily compromise the site and insert the code, only waiting for the visitors to do the rest. Also Checkout Can electronic cigarettes technology disrupt the world of tobacco? To further back up this prove, Malwarebytes in October 2017, Malwarebytes reported 8 million blocks per day, and this is all from potential cryptojacking. While on the geolocation result, the U.S. tops the list with 32% followed by Spain, Canada, Italy, and France. However, web pages aren’t the only things that are prone to hijacking; malicious apps are too. The bottom line is, thousands malicious websites and apps are crytojacking users. Meanwhile, there is some website also considering cryptojacking as an alternative to monetizing. There is no other way to justify this act; the fact is it isn’t illegal. It’s extremely frowned upon even though it’s only unethical and. But as yet, it isn’t illegal to take over someone else’s processing power to mine cryptocurrency without their consent. However, it is the difference from a botnet because here the hackers are not forcing any malware on your device. Furthermore, the miner stops when you close the tabs, which means it doesn’t create vulnerability or posses any threat after the miner stops. The best way to detect when a hacker has cryptojack your computer is by opening your computer resource manager and check the CPU usage if it is high abnormally then you might be cryptojack. Take note you might have a crypto mining malware situation if your CPU usage still spikes after you close all browsers. • Browser Extensions: There is several anti-mining extensions for browsers like Chrome and Firefox, the common one are No Coin or minerBlock. Script Blockers: No Coin or minerBlock are only for blocking mining scripts. Meanwhile, there are great script blockers for Chrome and Mozilla users which are uBlock and NoScript. Now that you understand what Cryptojacking means, and you know that there are some company developing the model and selling to online business, you should understand that it will only increase with time because it’s not stopping anytime soon. The best thing you can do for yourself is to get educated and take all the preventive method to protect yourself from this threat. Nick Burbridge is the owner of Elive, IT Support company from Auckland, New Zealand. He has a passion for computerhardware and raising his 1-year old baby.